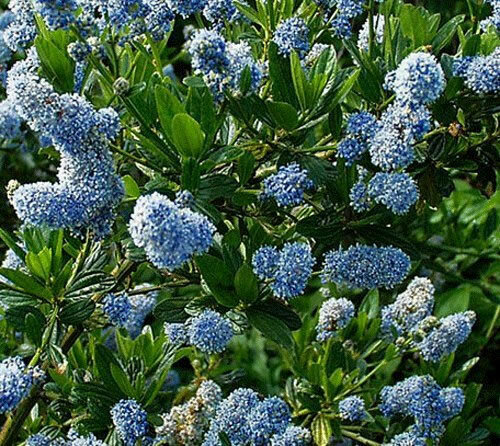 This medium sized Ceanothus is a dense growing evergreen shrub that bears clusters of light blue flowers in early summer. 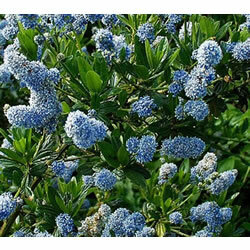 Dense dark green foliage is attractive all Year round. Prefers full sun. 2m tall by 2m spread.